Don’t let your RV problems give you the blues! 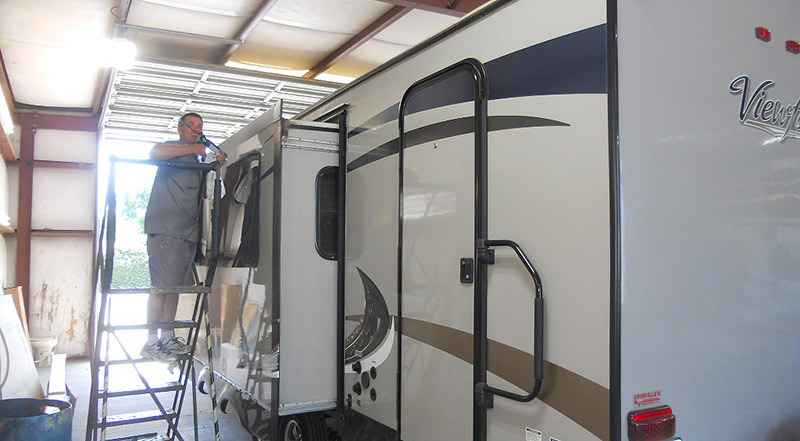 Let our skilled technicians at Courvelle’s RV handle the daunting task of RV repairs. We have a fully equipped service center to handle your job big or small. Our service center can handle your maintenance repairs, interior or exterior upgrades, warranty work and insurance claims such as an untimely blow out. You can rely on our service specialist to get the job done! 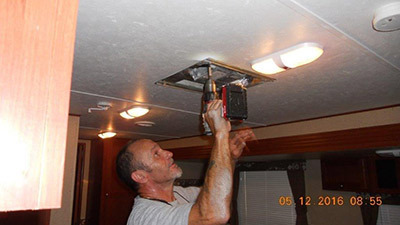 Preventative maintenance is important in keeping your RV in top shape. Roof needs to be resealed? 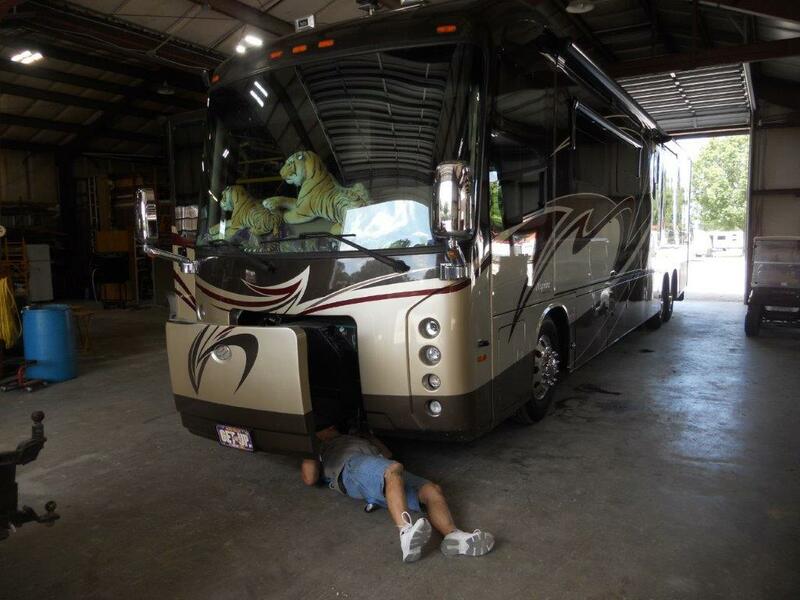 Finding cracks in the seals on your RV? Let Courvelle’s RV handle those problems for you. When resealing the unit we make sure and check all seals. We will not just do a once over! We remove old seals, clean the area thoroughly and replace seals with new sealant. Our service department will also help you maintain your appliances and explain preventative measures to keep things running optimally. It’s smart to have these things checked at least once a year. Are you looking to add a slide topper or upgrade your awning? We have you covered for those jobs as well. We can help you find those hard to match parts that you may only get from the manufacturer of the RV. Our parts department has relationships with several RV companies such as Crossroads, Cruiser, Forest River and Keystone. 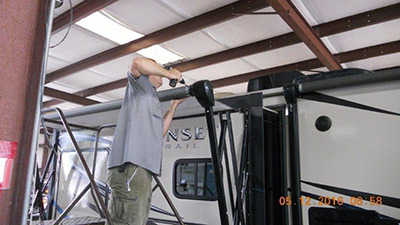 So let us help you keep your RV looking fresh and new. Looking for a service center that can deal with your insurance/ warranty company? We deal with several warranty companies on a day to day basis. To give you an idea here are a few: Dometic, Atwood, Airxcel, Lippert, Easycare, and RvCare. If you had an accident with your RV we would be happy to handle the claim for you. You provide us a claim number and the name of the insurance company and we take it from there. The service center at Courvelle’s RV strives to build a good relationship with our customers and have them leave knowing we took care of their problems.